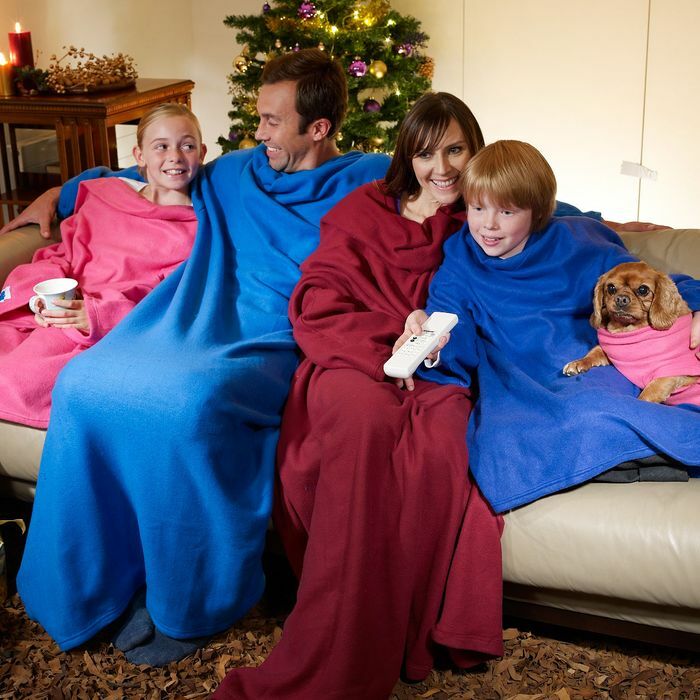 They didn't mean to buy five Snuggies, but Fluffy does love wearing their spare. Allstar, which has sold more than 20 million Snuggies, was accused of using "allegedly deceptive and misleading advertising and ordering processes when selling a variety of products." Besides the Snuggie, Allstar has sold products like the Party Tub, Hot Huez Temporary Hair Chalk, Hot Booties, and the Perfect Bacon Bowl. The company offered many “buy one, get one free” deals that came with undisclosed extra fees erasing any savings. Tricky phone- and web-ordering systems sometimes left customers accidentally buying six Perfect Brownie Pans. Customers who would like a refund for not understanding the consequences of ordering things from infomercials can contact the attorney general’s office, which will gladly assist you and ensure that a record is saved for posterity of who among us has purchased a Snuggie.